It’s hard for me to believe, but my second picture book, Don’t Ask a Dinosaur (POW! Kids Books, 2018), turns one year old today! LOUIE: My favorite dinosaur is the T-Rex! I even spent some time at KidLitTV in New York City and shared my process for drawing a T-Rex just like the one in the book – so if you’ve got kids who want to learn, I hope they’ll check out the ReadySetDraw! video. MATT: I have two favorites; one is in the book, the other isn’t. I love Therezinosaurus because he’s so unusual – with the longest claws of any dinosaur (up to 3 feet! ), a giant pelvis designed for prolonged sitting (you can’t make this up), a bird-like beak, his skeleton has been described as being “assembled by a drunken sailor who got quite confused.” My other favorite is Quetzalcoatlus, one of the largest flying creatures of all time. Approximately the same size as a small Cessna aircraft and named after the Aztec serpent god, Quetzalcoatlus is just too cool for words! How long does it take to write/illustrate a picture book or poem? DEB: I’ve never had a poem published, so that I don’t know. If I could write a poem worthy of being published, it would probably take me 50 years. For a picture book, anywhere from 6 months to many years. The original idea for Don’t Ask A Dinosaur sprouted in 1997, except the animals were current day creatures such as porcupine, moose and elephant. MATT: I always respond by saying, “as long as it takes” – which is honestly NOT a cop-out answer! Dinosaur went through 20 revisions before we started sending the manuscript out to potential publishers, yet a board book I have coming out next year was written in one evening, revised a few times, and was accepted. You just can’t ever tell! LOUIE: It takes a long time to illustrate a picture book. From the first sketches to the finished artwork, it can take almost half a year! How did you decide which dinosaurs to include? Some of Louie’s early sketches! DEB: When I exchanged contemporary animals for dinosaurs, I picked ones that were fairly common and had strange attributes. Matt, the dinosaur buff, dug around for the weirdest ones, some of which were recent discoveries. MATT: We wanted a good mix of dinos – some well-known favorites, some brand-new species – but they all needed exceptional, distinguishing characteristics. There were several dinosaurs and early reptiles we initially included that didn’t make the final cut, like Anchicertops, Spinosaurus, Microraptor, Archelon, and a few others. Was it hard working together? Were there any problems? LOUIE: Working together was easy! DEB: I also found it easy to work with someone – that someone being Matt – because feedback was fairly quick and to the point. The only problem was when Matt’s enthusiasm for the latest and coolest dinosaur bubbled over late at night and he had to wait until morning for my opinion. At least, I imagine that’s what happened. MATT: Actually, I think the only “problem” (if you can call it that) was that by the 17th or 18 revision, we both started over-thinking things and began adding in lines or rhymes that we’d previously taken out – ha! Once a writer gets to that point, you know it’s time to give it a rest. How involved were you with the illustrations? DEB: I think our situation was fairly unusual. The editor sought our opinion on illustrative styles. MATT: We did have a bit of a say as to how things were going, but Louie pretty much did his own thing, and we were very happy with it! LOUIE: There wasn’t a lot of communication directly. Most of it was relayed through the editor. Why are there are no flying dinosaurs in the book? DEB: Good question! Matt, what do you have to say? MATT: Technically, the flying reptiles known as pterosaurs (including my buddy, Quetzalcoatlus) were not true dinosaurs. Neither was Lioplurodon, either – but somehow he managed to stay. I’m guessing it’s because he was making cake, and everyone loves cake. What’s the most memorable question you’ve been asked? LOUIE: I can’t recall a question that stood out, but it’s a lot of fun hearing all the dinosaur facts and stories from the children. Now that the book is out, do you have any questions about it? DEB: I want to know, how do all those dinosaurs fit inside a house? 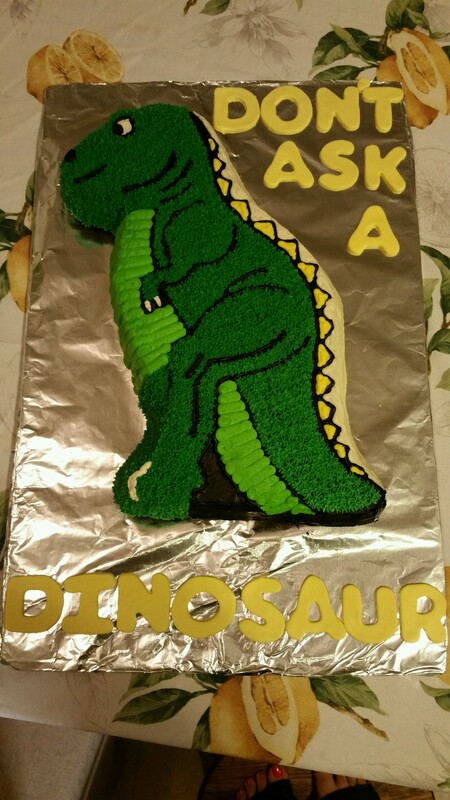 MATT: I’m wondering if those dinosaurs that were outside, like Ankylosaurus and Argentinosaurus, ever got any cake. LOUIE: I’d like to know what other wild things other dinosaurs not in the book would do, if they were invited to a birthday! READY TO WIN A FREE COPY?? Just leave a comment below, and you’ll be entered to win! I’ll announce the winner on Poetry Friday, April 26, so you’ve got a week and a half to tell your friends and ask them to enter, too. Good luck…and thank you for your support! The 2019 Kidlitosphere Progressive Poem continues! Each day during April (National Poetry Month), a different writer/ blogger adds a new line to the poem until it concludes April 30. You can follow along at the sites listed below. A few days ago, I received an email from the owner of our local independent bookstore, MainStreet BookEnds of Warner, NH. She had just received an online order for Flashlight Night (Boyds Mills Press, 2017) and was wondering if I was available to sign it. I said, of course! I only live a mile away, so I took a walk down to the store. She showed me the name of the person who was ordering the book, I sat down and wrote a short, personal message, and signed it. The next day, it was in the mail, on its way to its recipient. In case you didn’t know, you can purchase personalized signed copies of Flashlight Night, Don’t Ask a Dinosaur (Pow! Kids Books, 2018), and nearly ALL of the books or anthologies I’ve been part of! Would you like a personally-signed copy? Just click the link and let the bookstore know! I’ll sign it before they ship it out to you! Time flies when you’re having book launches. And writing. And trying to be a parent. 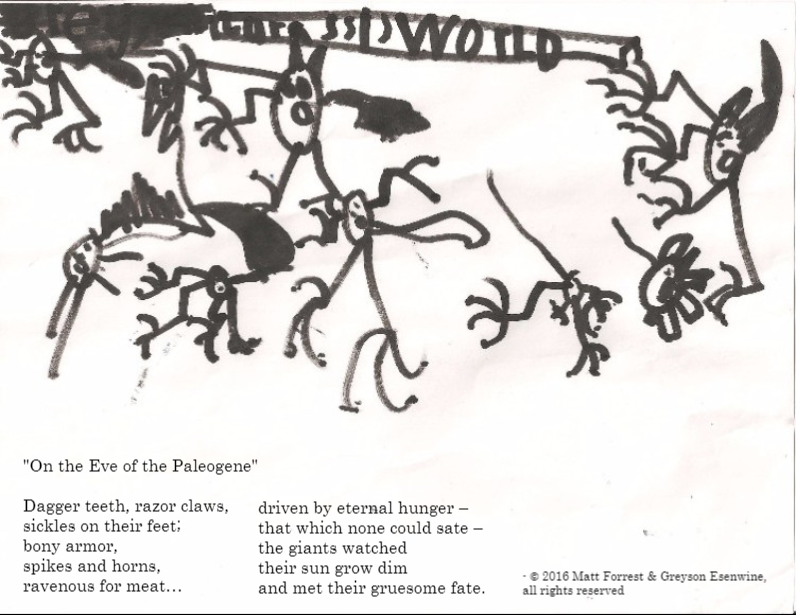 So it should come as no surprise that I completely forgot to share this poem – which I wrote in April as part of Michelle H. Barnes’ blog feature on my new book, Don’t Ask a Dinosaur (Pow! Kids Books). As part of Michelle’s “Ditty of the Month Challenge,” my co-author, Deborah Bruss, and I challenged Michelle’s readers to write a poem about something one would not expect (or want) a dinosaur to do. I figured I would start things off by writing a poem myself and sharing it with Michelle’s readers…and after she posted it, I completely forgot about it! So here it is, 2 months later, and I’m just now getting around to sharing it here at the ol’ Triple-R. Better late then never, right? turn out, and then jeté. Looking for more poetry? You’re in luck! Kiesha Shepard is hosting today’s Poetry Friday roundup with Summer’s Song, dancing in the twilight while white caps and tanker ships dance in the sea…be sure to stop by & say hi! “DON’T ASK A DINOSAUR” is available everywhere! Well, what do you know…we have another signing lined up, and this time it’s in New Hampshire’s beautiful Lakes Region! I won’t be able to be there, unfortunately, but Dinosaur‘s co-author, Deb Bruss will be, so I hope you’ll consider stopping by if you’re in the area. 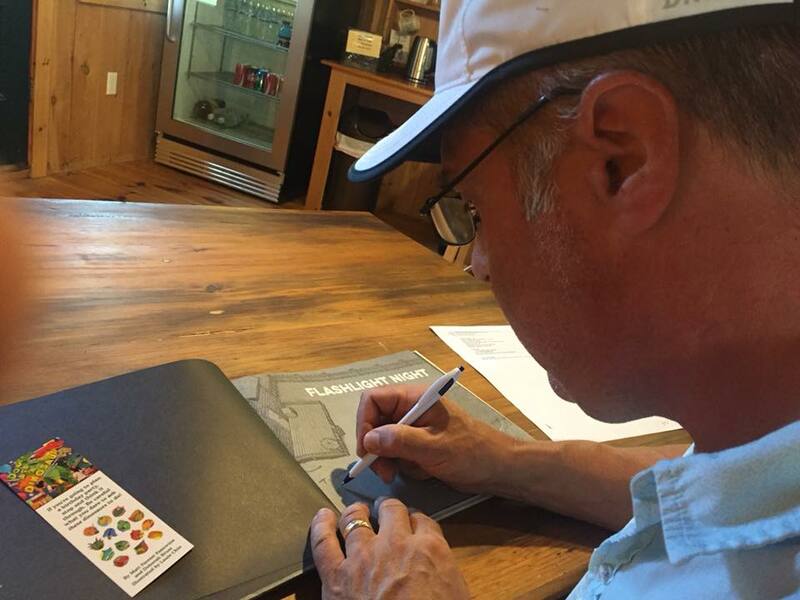 Purchasing personalized signed copies ONLINE? Yes, it’s true! You can now purchase personalized signed copies of Flashlight Night, Don’t Ask a Dinosaur, and ANY of the books or anthologies I’ve been part of! Hooray, Book Birthday, Today! 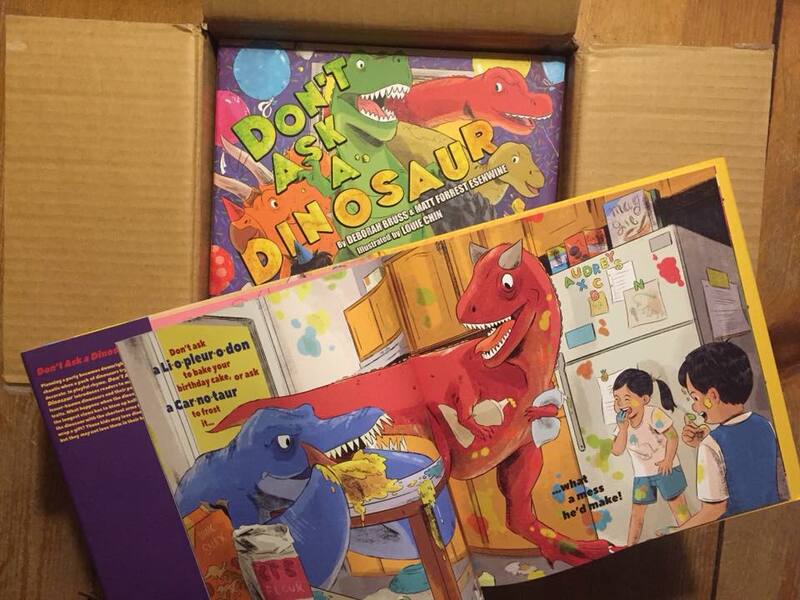 “Don’t Ask a Dinosaur” is officially EVERYWHERE – with a Giveaway! 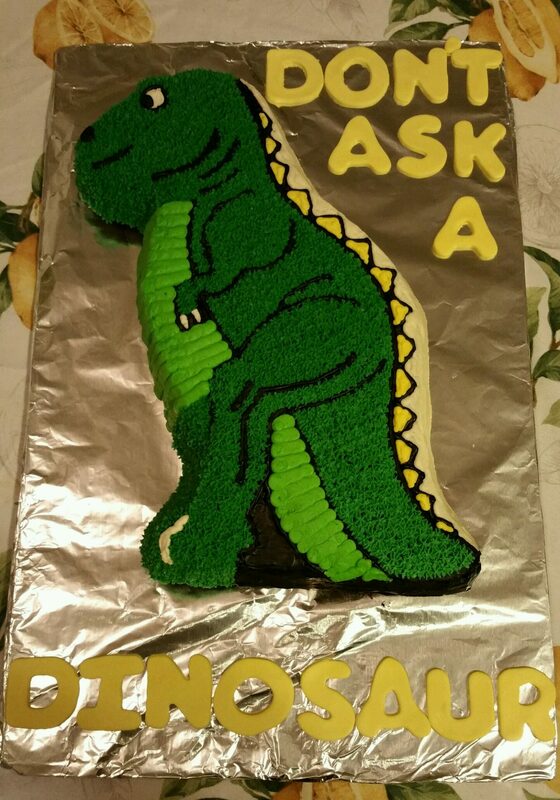 The day has finally come: Don’t Ask a Dinosaur (Pow! Kids Books) is now available online and in bookstores across the land! 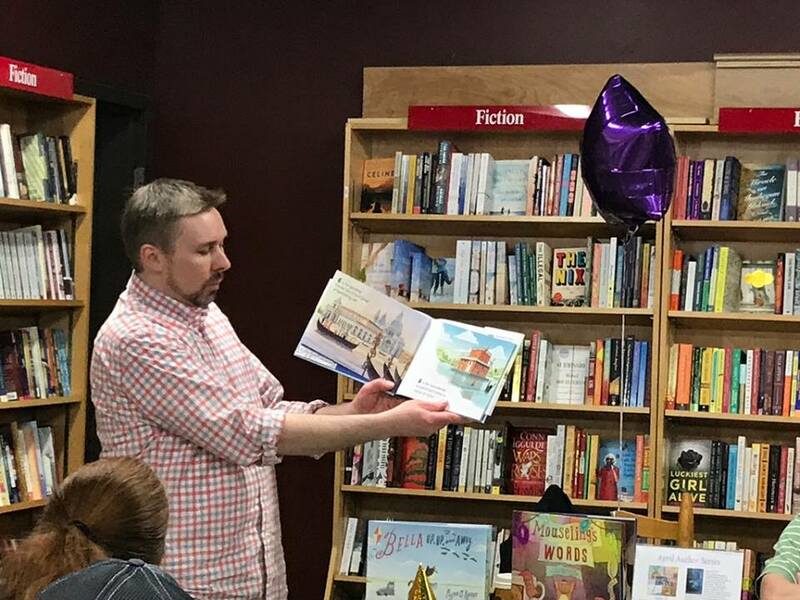 The folks at Toadstool were celebrating Children’s Author Day, and we were joined by local illustrator Ryan O’Rourke, who was celebrating the release of Alphabet Boats (Charlesbridge) by Samantha Vamos – which is also officially out today. 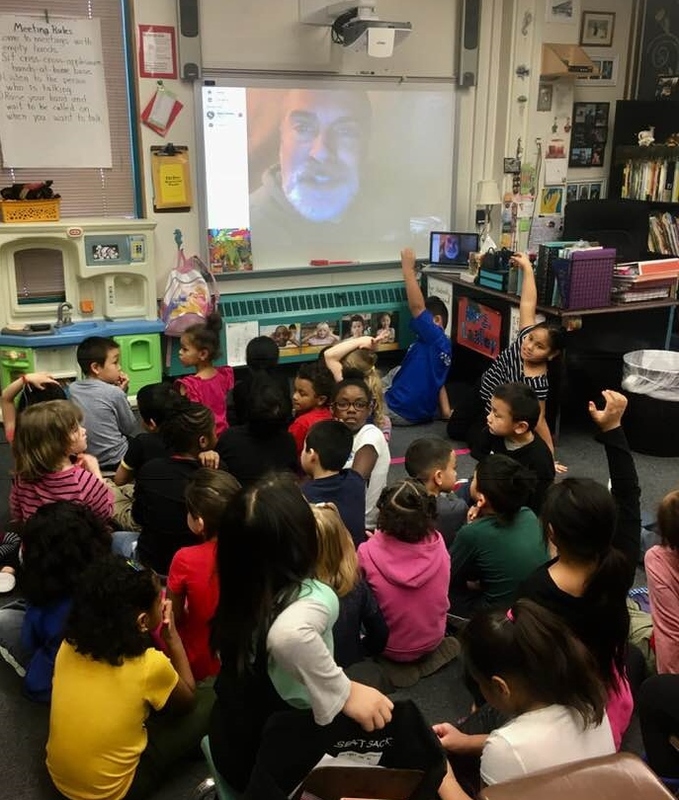 And as you can see in the first pic below, I also shared the new poetry anthology School People (Wordsong), of which I am one of 14 contributors, and Flashlight Night (Boyds Mills Press, 2017). Tonight, Deb and I will be celebrating the National Book Launch for DAAD just outside of Boston, at Porter Square Books, Cambridge, MA. It’s a Dual National Launch Party, as we’ll be there with author/poet Holly Thompson, who will be reading and discussing her new picture book, One Wave at a Time (Albert Whitman & Co.), a thoughtful, touching story about loss and healing. That’s my homemade vegan chocolate cake – the best chocolate cake you’ve ever tasted – baked in Deb Bruss’ dinosaur pan and hand-decorated by my step-daughter, Jessica. Imagine the overwhelming sense of melancholy that will befall you, knowing what you missed out on, should you decide not to attend. Each one of these counts as an entry, which means you could have as many as four entries…and if you add in the other 2 contests, that’s SIX different opportunities to win THREE copies! Just be sure to tag me when you share these links, so I can count you. I’ll draw ONE NAME at the end of the month. Good luck, and thank you! 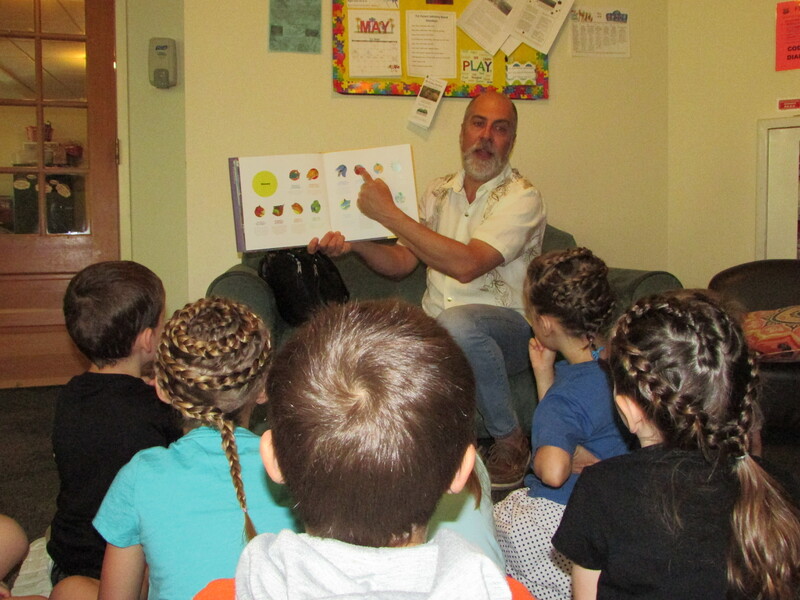 Thur., April 26, 10:30am: Pillsbury Free Library, Warner, NH, Dinosaur Storytime with Don’t Ask a Dinosaur and School People! In case you haven’t heard, there’s a new way to purchase personalized signed copies of not only Flashlight Night, but ANY of my books or anthologies I’ve been part of! I’ve teamed up with the good folks MainStreet BookEnds in Warner, NH to present an option for people who would love to have a signed copy of one of my books but don’t live anywhere near me. MainStreet BookEnds has ALL but one of my books available for ordering…and the best part is, you can get them personalized! 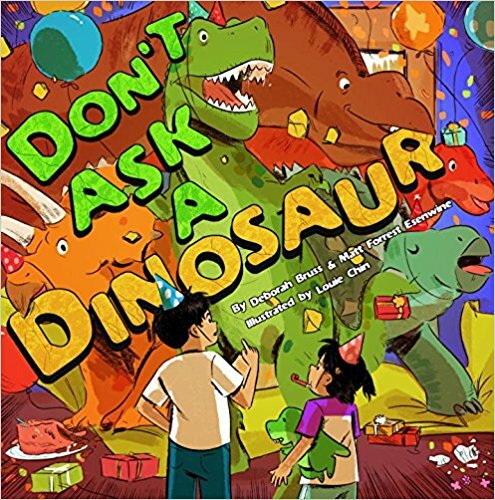 100 Book Trailers spotlights “Don’t Ask a Dinosaur” trailer & activity sheets! 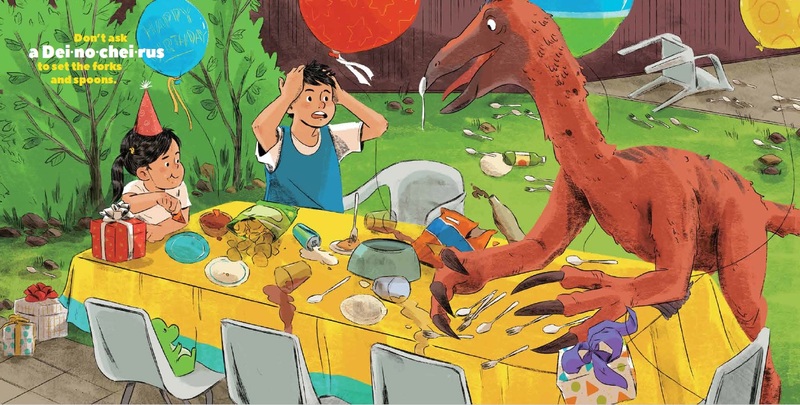 The DINOSAUR TOUR Blog Tour rolls on today, courtesy of children’s author Kate Narita! You know me…I rarely post anything on days other than Tuesday and Friday. And I NEVER post on a Sunday. But I needed to make an exception for this! For the past several months, Kate has been featuring a different children’s book trailer each day, along with a short review and links to downloadable activity sheets that accompany the books. And today, coming in at #98, it’s Don’t Ask a Dinosaur (Pow! Kids), which officially arrives in stores next Tuesday, April 17! My co-author, Deb Bruss, and I are so happy that Kate liked our book enough to share it with her followers. So please be sure to check out her post HERE, and download the free activity sheets for your kids! 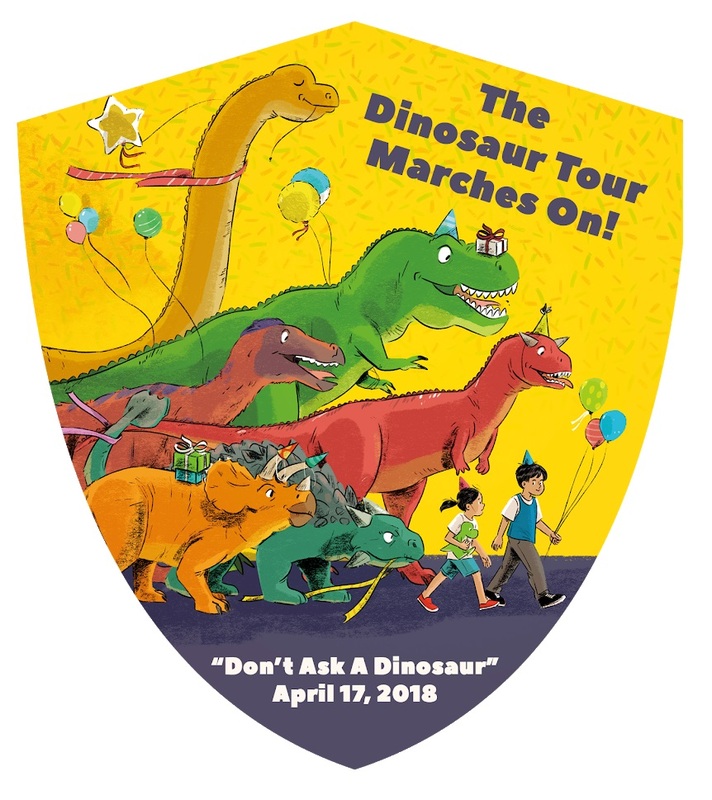 I hope you’ll stop by these various blogs, as you’ll learn something new at each one, plus you’ll have multiple opportunities to win copies of Don’t Ask a Dinosaur! 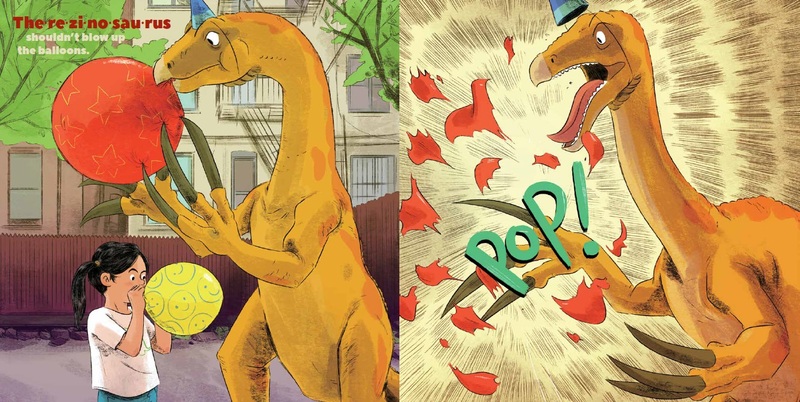 “DON’T ASK A DINOSAUR” arrives in stores April 17! Poetry Friday: “None Like Me” & Don’t Ask a Dinosaur news! My box of author copies just arrived yesterday, along with a separate box of Don’t Ask a Dinosaur (Pow! 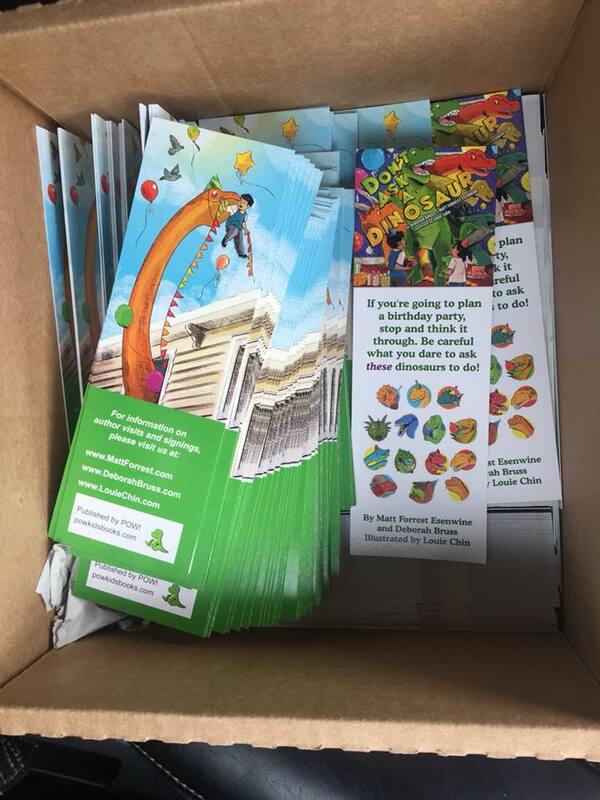 Kids) bookmarks! 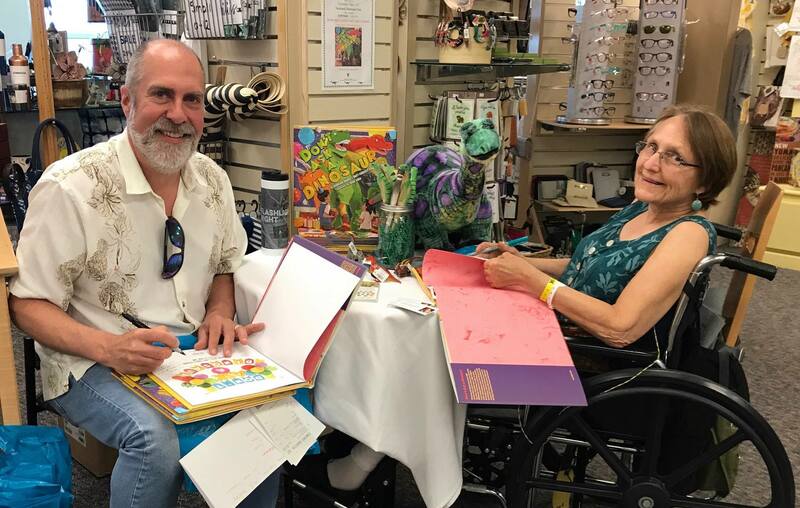 The book, co-authored with Deborah Bruss, arrives in stores everywhere April 17, and we’re planning a dinosaur-sized celebration including TWO launch parties, a special blog tour, an interview with illustrator Louie Chin, and a book giveaway! If you’d like to pick up a signed copy, just scroll down a bit and you’ll see the complete schedule of where we’re going to be – or you can place your pre-orders now and have your copy personally signed! After I took the photo, I realized a short little poem was in order! I’m sure you’ve seen my relatives. a coiffure quite like mine. For more poetry, please visit my friend and fellow blogger/writer Laura Purdie Salas, who is hosting Poetry Friday today at her little spot on the web, Writing the World for Kids. Also, the Madness! Poetry competition is down to the 4th round with only EIGHT challengers remaining, so be sure to log on and vote for your favorite poems! SCHOOL PEOPLE are here…and the DINOSAURS are on their way! DON’T ASK A DINOSAUR hits bookshelves April 17! Poetry Friday: “Don’t Ask a Dinosaur” book trailer debut! If you follow me on Facebook or Twitter, you know how excited I’ve been, helping to put together the trailer for Don’t Ask a Dinosaur (Pow! Kids Books) – so I’m SUPER excited about sharing it with you! Don’t Ask a Dinosaur is the new picture book I co-wrote with author Deb Bruss, which arrives April 17. Since I am a voiceover talent as well as a children’s writer, I volunteered to produce the audio for the book trailer here at my home studio…and it was a surreal experience. What do you think?? It’s definitely not Flashlight Night, that’s for sure – with all the bright colors and craziness these two kids are dealing with, a little quiet evening out in a dark tree house might be just what they need! I dedicated Don’t Ask a Dinosaur to my son, Greyson, whose love of dinosaurs inspired me to write this with my friend Deb, so in keeping with the dinosaur theme of today’s post, I thought I’d share a poem I wrote for Penny Parker Klostermann’s blog exactly two years ago for Poetry Friday. 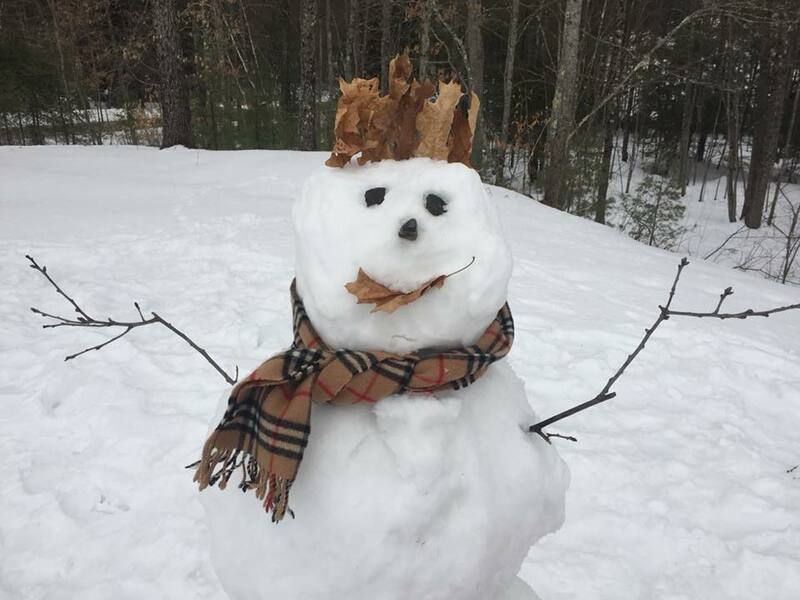 And since Poetry Friday usually means lots of poetry, you’ll find plenty more at Carol Varsalona’s blog, Beyond Literacy, where she is hosting the official roundup! 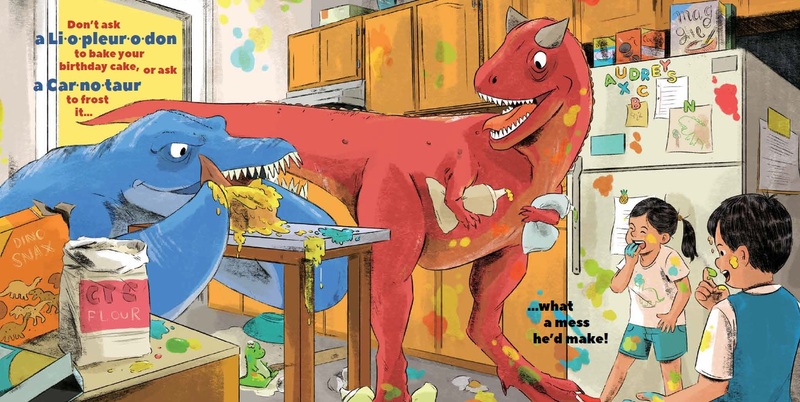 “Don’t Ask a Dinosaur” hits bookshelves April 17! Tue., April 17, 7pm: Porter Square Books, Cambridge, MA, Don’t Ask a Dinosaur National Launch Party!! 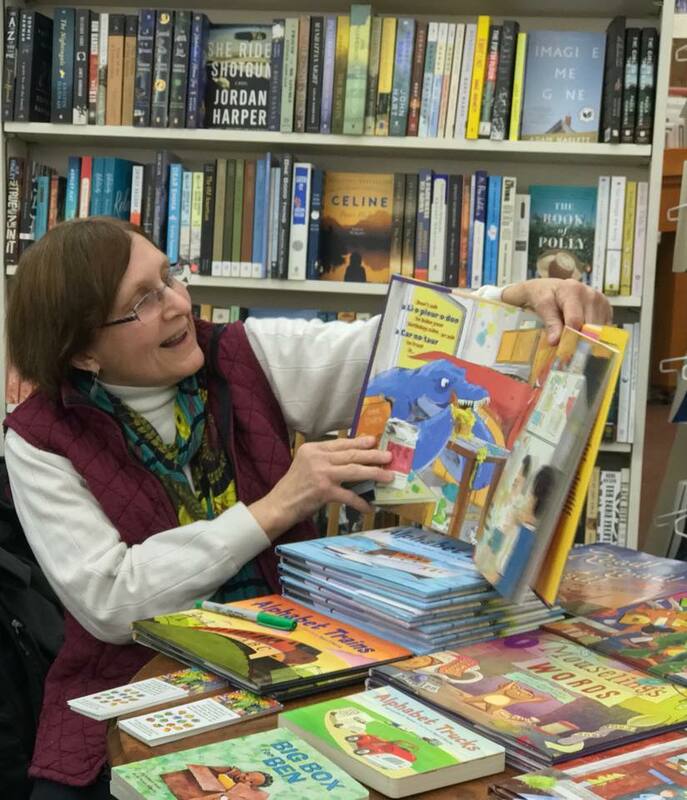 Thur., April 26, 10:30am: Pillsbury Free Library, Warner, NH Dinosaur Storytime with Don’t Ask a Dinosaur! 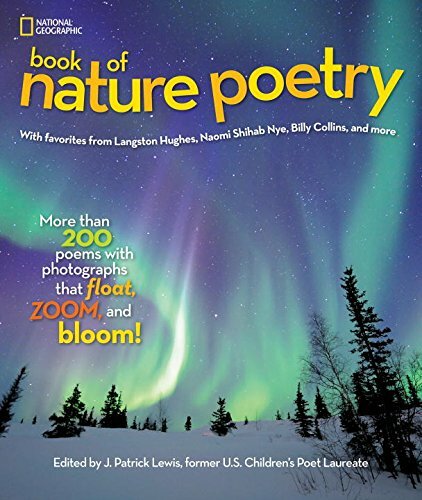 School People (Wordsong), Lee Bennett Hopkins’ newest children’s poetry anthology, arrives Feb. 13! 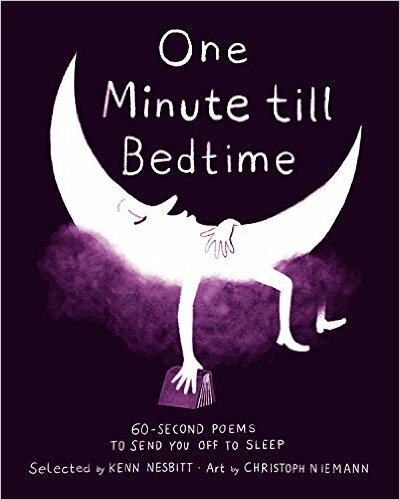 Edited by Flashlight Night editor Rebecca Davis, this book includes 15 poems about the grown-ups that children meet at school…including my poem, “Bus Driver”. I hope you’ll consider picking up a copy! This photo was taken just a quarter-mile down the road from our house a few days ago. Click the image to enlarge. 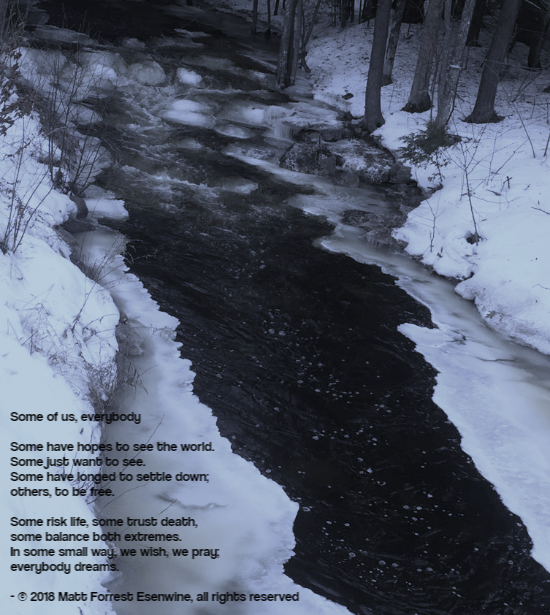 I’ve been thinking about the state of the world, the state of the country, the state of our attitude toward others…and considering we just celebrated Martin Luther King, Jr.s birthday this past Monday here in the U.S., the idea of dreams began to form a poem. Hope you like it. School People (Wordsong), Lee Bennett Hopkins’ newest children’s poetry anthology, arrives Feb. 13 to bookstores everywhere! 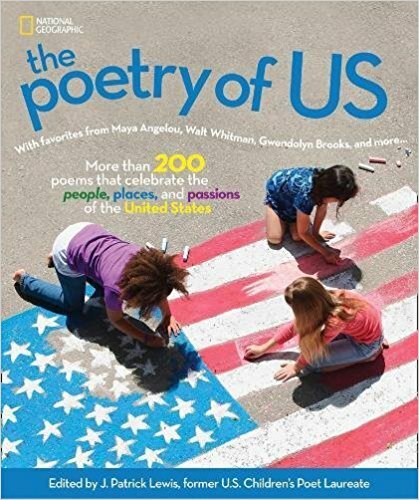 The book includes 15 poems about the grown-ups that children meet at school…and I’m so honored to have my poem, “Bus Driver,” included! It’s a beautiful book, edited by my Flashlight Night editor Rebecca Davis, so I hope you’ll consider picking up a copy. If you’d like, you can read a couple of wonderful reviews from Publisher’s Weekly and from Kirkus! For more poetry, be sure to visit Kay McGriff at A Journey Through the Pages for today’s complete Poetry Friday roundup! 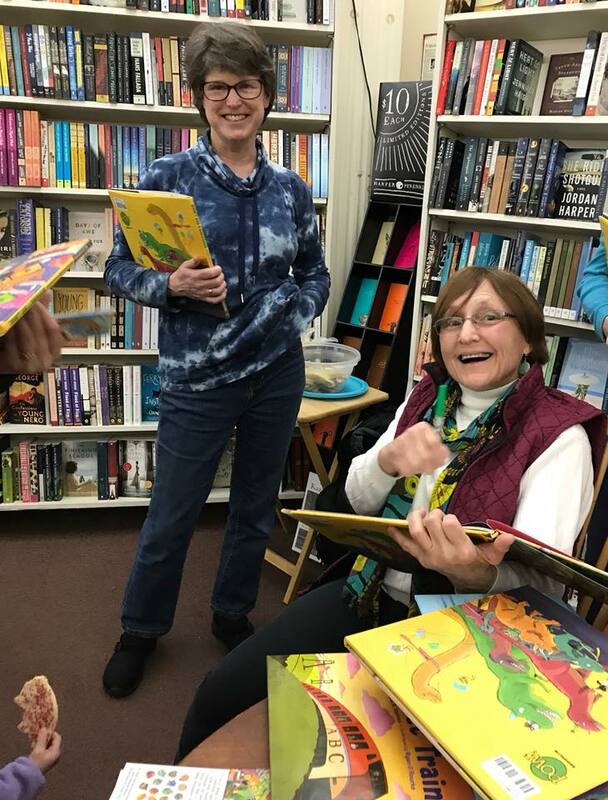 Poetry Friday: “Don’t Ask a Dinosaur” gets a publication date, and New Hampshire KidLit gets a boost! It’s official! 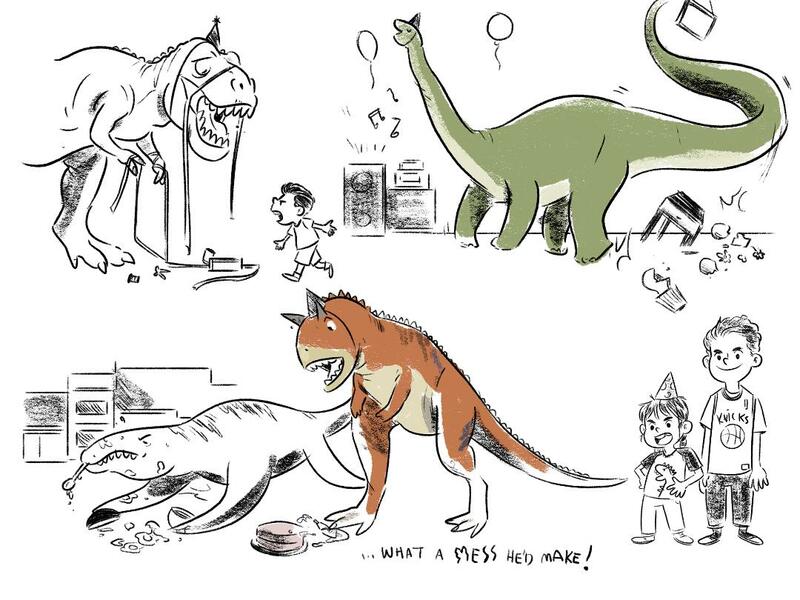 My next picture book, Don’t Ask a Dinosaur (Pow! 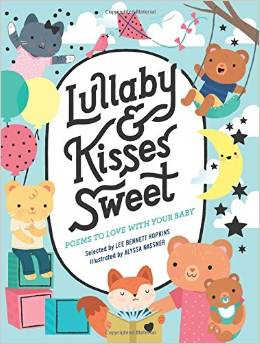 Kids Books), co-authored with Deb Bruss (Book! Book! Book!, Big Box for Ben), will arrive in stores on April 17! Woo-HOO! The newly-revised cover! Click to order! Do it! Now! 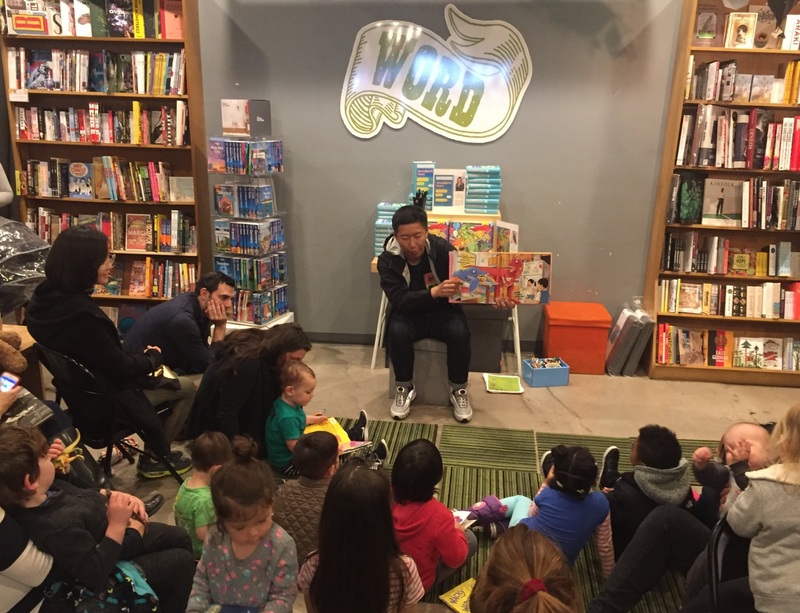 You read that right – the book doesn’t come out for 4 months, and we’ve already got FIVE Dinosaur events planned with many others in the works. No one can say I’m not motivated. In other news, a new website has emerged on the kidlit scene! 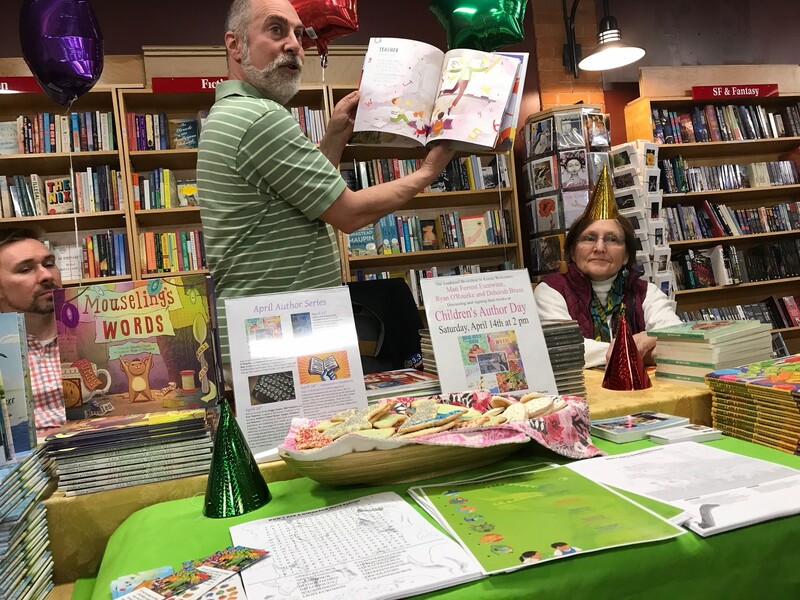 If you’re looking for info about New Hampshire-based children’s authors and illustrators, look no further than KidLit603 – the brainchild of a group of NH writers who thought it was about time our state had a more visible way of showcasing those of us who write for children. 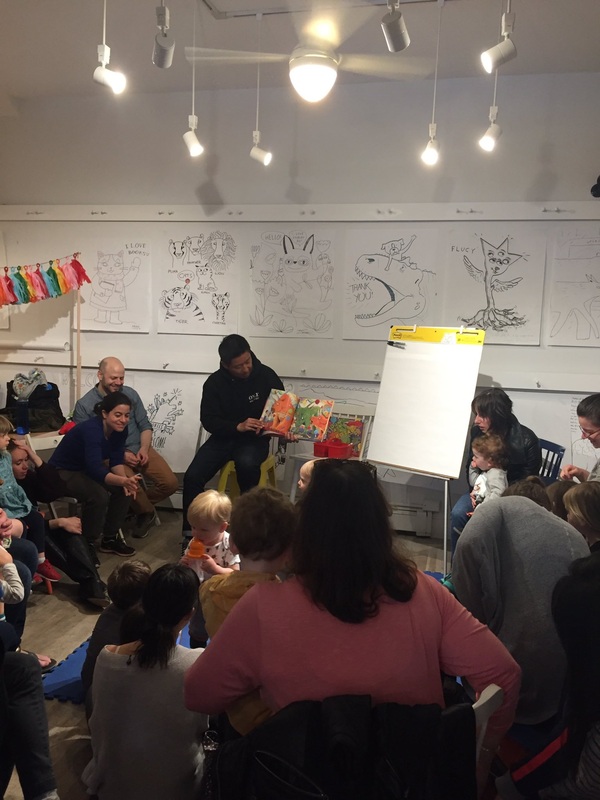 At the website you’ll find news, event info, and author links – and if you know of something happening in the area related to children’s literature, send an email! 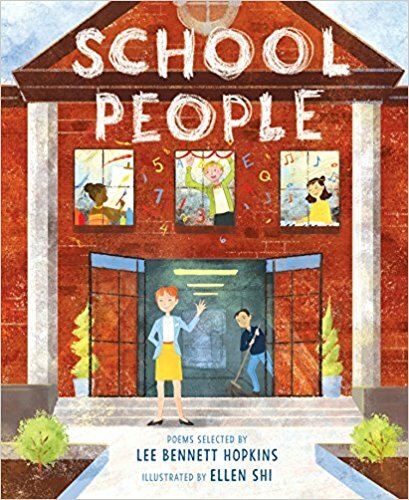 And since it is Poetry Friday, I just had to share a little bit of news about School People (Wordsong), the new Lee Bennett Hopkins anthology due out in just a few weeks. 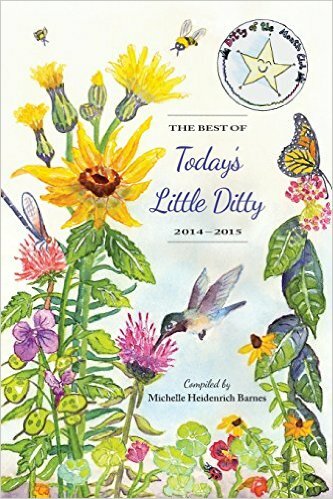 There are 15 poems about the people children meet at school…and I’m so honored to have a poem of mine included! Other poets whose work is included in the book include Charles Ghigna, Amy Ludwig VanDerwater, Renee LaTulippe, Irene Latham, Robyn Hood Black, J. Patrick Lewis, and many others. It’s a beautiful book, edited by my Flashlight Night editor Rebecca Davis, and I hope you’ll consider picking up a copy. Care to read a glowing review from Publisher’s Weekly? Of course you do! Care to read another positive review from Kirkus? I knew you would! Care to check out all of today’s Poetry Friday links? Then head over to Jan Godown Annino’s Bookseedstudio for the complete roundup, where she is celebrating poetry and the life of Dr. Martin Luther King, Jr.